Winter, a season that promises difficult icy terrains, crisp, callous air and the ever-present threat of snow; a season perfect for SUV leasing. Equipped with four-wheel drive, Sports Utility Vehicles are the ideal warriors to battle winter conditions. Below, we’ll provide a variety of reasons to start looking for the best SUV lease deal with Just Vehicle Solutions. Whether you’re looking to discover your inner adventurer (both on and off-road), or simply need a more powerful, spacious vehicle, SUVs can make driving a more comfortable, enjoyable and practical experience. It was announced last year that SUVs are now Europe’s bestselling cars, with consumers favouring the likes of Land Rover, Ford, Nissan, Honda and Audi. These vehicles have never been more popular, at a time in which UK car production is at an all time high and Land Rover is sitting at the top of the biggest manufacturers. Which SUVs have the best storage? One of the main appeals of SUVs is their superior cargo capacity, able to accommodate for the likes of tradesmen, families and frequent holiday-goers with their high roofs, low floors and large boots. If storage space is what you seek, you can’t go wrong with leasing a Range Rover, which offers 2,030 litres of storage with the seats folded down. Land Rover have always been great innovators when it comes to SUVs, with the All-New Discovery boasting seven full-size seats and a self-confessed “ingenious use of space”. Alternatively, you could get in touch to discover the best luxurious lease deal available on the five-seater Mercedes GLE or BMW X5, which possess an almost-equally impressive 2,010 and 1,870 maximum boot space respectively. A large criticism of SUVs in the past has been their effect on the environment and fuel efficiency, or lack thereof. However, now that mpg and Co2 figures are no longer seen as an afterthought, but a key factor in consumer needs, brands have had to make that extra step in improving the economical nature of their SUVs. While we at Just Vehicle Solutionscover road tax (which is calculated using the car’s Co2 emissions), you of course want a car that is both economic to run and isn’t too damaging on the environment. It comes as no surprise that the most economically efficient SUVs tend to be the smaller, more compact vehicles. The Plug-in Hybrid Electric Mitsubishi Outlander, for example, manages 166mpg and has a CO2 rating of 41g/km. 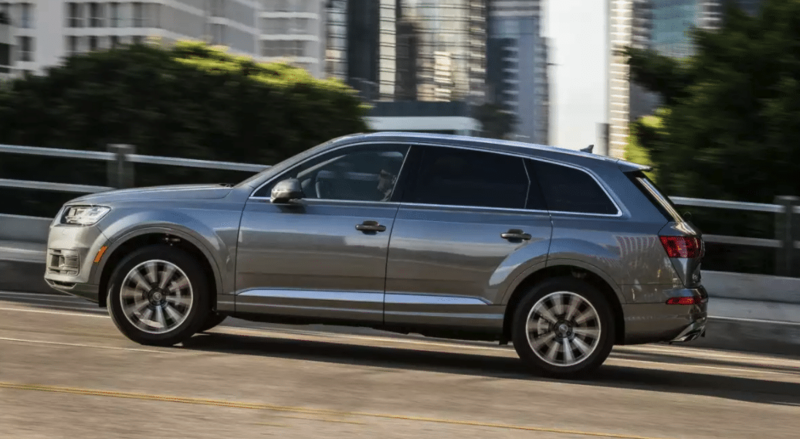 Sticking with electric hybrids, there is also the Audi Q7 e-tron, which goes 157mpg and has a Co2 of 48g/km. Not looking for a hybrid/electric vehicle? Have you thought of leasing the Citroen C4 Cactus? Focusing on simplicity and practicality, this spacious SUV manages an impressive 80mpg, making it the most economical SUV, according to Auto Express. Next on the list is the Renault Captur, followed by the Peugeot 2008 and Nissan Qashqai. The SUVs most suited to family life tend to be ones that maintain the perfect balance of versatility, efficiency and safety, with added features such as entertainment packages always going down well. Compact SUVs, such as the Nissan Juke and Qashqai, offer a practical, easy-to-use nature that proves popular among families. 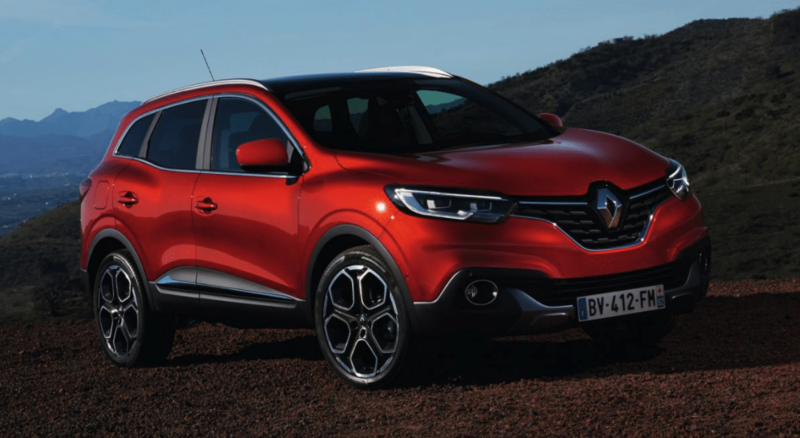 Another affordable option is the Renault Kadjar, which like the Qashqai, is an economical, easy to drive vehicle. 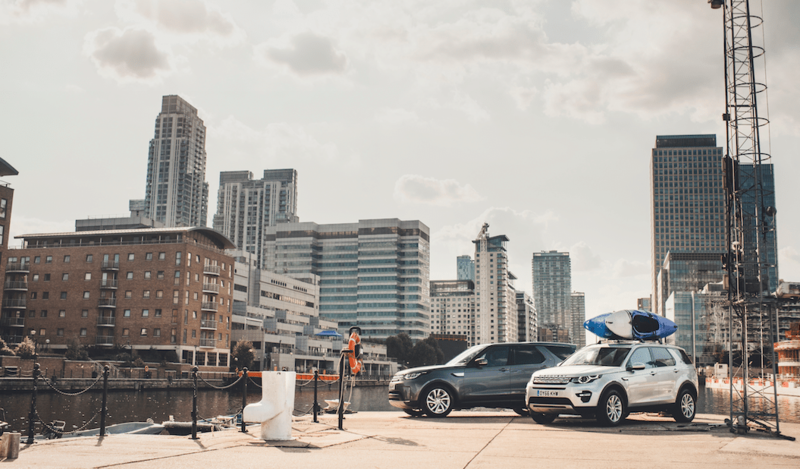 Bigger families may opt to lease the Discovery Sport due not only to its range of classic Land Rover benefits and features, but because of its impressive seven-seat versatility. We like to ensure our customers are aware of all of their options before picking their SUV lease deal. Therefore, it would be wrong to limit you to the above SUVs without mentioning a few other worthy contenders. For example, if you’re looking for a large SUV lease, the Skoda Kodiaq 2.0 TDI and Mazda CX-5 2.2D are both excellent vehicles, worthy of the various accolades they have been awarded. Are you a driver who likes to take advantage of all of the latest tech? If so, you’ll be tempted by the CX-5’s dual-zone climate control and complimentary infotainment system. On the other hand, you may be persuaded by the Kodiaq’s seven seats and reasonable running costs. Meanwhile, if luxury is what you’re after, the Audi Q7 is a fantastic SUV with its plush interior, refined tech and stunning design. Not to mention its powerful yet smooth running 3.0-litre engine. Despite Nissan’s dominance in the small SUV department, it was in fact the Seat Ateca that won WhatCar’s Small SUV award this year. Its “appeal to a wide range of buyers” and “robust interior” were two large contributing factors to its success. So, there you have it. Still undecided? You are spoilt for choice, after all, considering that we are able to offer any UK make or model! However, you’ll be pleased to know that we are more than happy to discuss your options over the phone in order to match you and/or your business with your ideal SUV. Book a call with one of our experts today!